The Irish Republican Army (IRA) was at the epicentre of the Troubles in Northern Ireland. A secretive paramilitary group seeking the reunification of Ireland, the IRA was one of the 20th century’s most prolific and dangerous terrorist groups. The full history of the IRA, however, predates the Troubles by a half-century. In broad terms, the IRA has existed for almost a century but in three discrete phases. The first IRA was formed from the remnants of the Irish Volunteers who instigated the failed Easter Rising in 1916. In its first years (1919-23) this IRA served as the military wing of the Dáil Éireann, the first Irish republican parliament, leading the armed struggle for an independent Ireland. After the creation of the Irish Free State the IRA, still craving Irish independence rather than British dominion status, instigated the Irish Civil War. Pushed to the fringes of Irish politics, the IRA was declared an illegal organisation. Between the mid-1920s and the late 1960s, the IRA’s membership fluctuated wildly, while its leaders flirted with left-wing political theory. The onset of the Troubles would have a profound influence on the IRA. 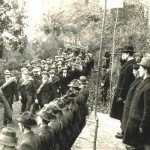 The first IRA was formed in 1919 during the Irish War of Independence. Its personnel were recruited from Republican militias like the Irish Volunteers and the Irish Citizen Army. Though its members and local branches had a reputation for acting independently, the IRA was adopted as the military wing of the Dail Eireann, the Republican parliament and rebel government. Led by the famous Irish revolutionary Michael Collins, the IRA fought against the British during the War of Independence. At its peak, the IRA reached more than 10,000 active volunteers. The signing of the Anglo-Irish Treaty (December 1921) split the IRA into two factions: a Pro-Treaty IRA, who were prepared to accept a self-governing Ireland under British sovereignty, and an Anti-Treaty IRA, who were determined to remove all vestiges of British rule. 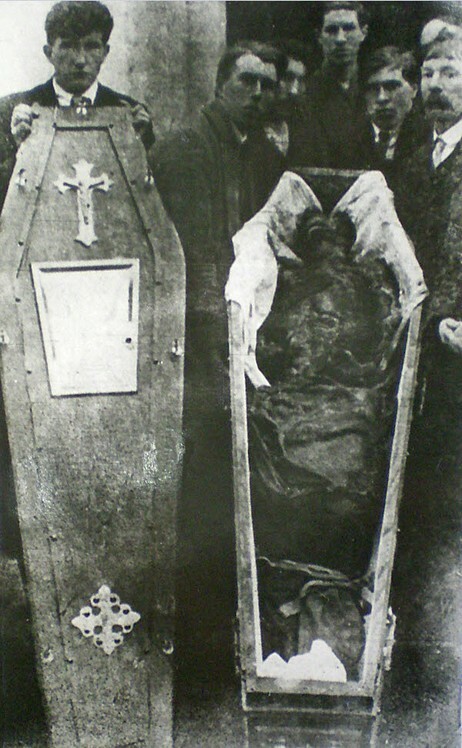 The two factions clashed during the brief but bloody Irish Civil War (June 1922-May 1923). The Pro-Treaty IRA emerged victorious, consolidating the newly formed Irish Free State. Around 2,000 Anti-Treaty IRA volunteers were killed during the Civil War and more than 10,000 were captured and imprisoned. Many members of the Anti-Treaty IRA went underground after the Civil War. These veterans maintained their opposition to the Free State and vowed to continue the struggle for Irish Republicanism. The events of the 1920s, however, sapped the IRA of men and motive. Former IRA leaders like Eamon de Valera abandoned military action and abstentionism, choosing instead to participate in Free State politics. In 1926 de Valera formed a political party, Fianna Fail. Those who remained in the IRA continued to reject parliamentary politics, breaking from Sinn Fein in 1925. IRA leaders instead embraced aspects of socialism, considering it a truly revolutionary ideology that allowed connection with Ireland’s working classes. IRA membership dwindled rapidly in the 1920s, falling from around 5,000 in 1925 to less than 2,000 by 1930. Numbers surged to more than 10,000 during the 1930s, fuelled by the misery of the Great Depression. This growth led to the Free State government banning the IRA (1935) and attempting to suppress it. The most telling blow for the IRA was the Free State’s adoption of a de facto republican constitution in December 1937. What the IRA had promised to achieve with rifles, the Free Staters had achieved with reforms. With the IRA now apparently irrelevant, its membership and support dwindled again. With southern Ireland now a republic in all but name, the IRA turned its attention to Northern Ireland, the last British stronghold in the island. In January 1939 IRA leaders declared war in Britain and formulated a military strategy known as the ‘S Plan’. Over the next eight months, IRA operatives bombed a number of government targets in England, killing seven people and injuring almost 100 more. 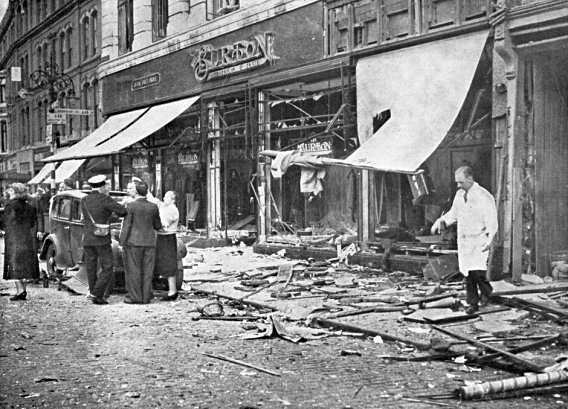 During World War II the IRA forged links with Nazi Germany, seeking arms and proposing a joint IRA-German invasion of Northern Ireland (Plan Kathleen). 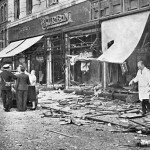 Between 1942 and 1944 IRA volunteers carried out dozens of shootings, bombings and sabotage attacks in Northern Ireland. The ‘Northern Campaign’, as it was dubbed, achieved little other than alienating the public by linking the IRA with Nazism. Scores of IRA leaders were arrested and some were executed as traitors. After World War II the IRA spent a decade rebuilding and preparing for a guerrilla campaign against the British in Northern Ireland. This campaign began in 1956 and lasted five years but again achieved little, other than a dozen IRA deaths and several hundred arrests. In the 1960s the IRA came under the leadership of Cathal Goulding and Roy Johnson. They attempted to reshape the IRA into a Marxist political-revolutionary party. Goulding believed the problems in Northern Ireland were caused not by religious or nationalistic divisions but by exploitation and manipulation of the working classes. 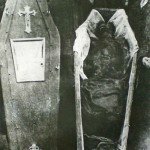 Wealthy capitalists, aided by the British and Unionist governments, incited tensions between working-class Protestants and Catholics, in order to discourage strikes and to keep wages low. The unrest in Northern Ireland was consequently driven by class tensions rather than sectarian divisions. Goulding and his supporters favoured political rather than military solutions. They supported the civil rights movement, reestablished contact with Sinn Fein, ended parliamentary abstentionism and mobilised support in the working classes and unions. This drift towards Marxism and politics was not supported by all IRA volunteers. Many still preferred the traditional path to a united Irish republic: a campaign of guerrilla warfare against the British and Loyalists until Northern Ireland was ungovernable. By the mid-1960s the IRA was highly factionalised, poorly organised and unable to rally support in parts of Northern Ireland. The group was not just ideologically divided, it was critically short of volunteers, weapons and money. The rising unrest in Northern Ireland further exposed the IRA’s unpreparedness. In 1968-69 the IRA responded to police and Loyalist brutality against Catholics and civil rights protestors with criticism rather than action. Some Republicans were so disgusted by this ineffectiveness they claimed IRA stood for “I Ran Away”. Many young militants in the group demanded a return to the IRA’s traditional values and tactics: armed struggle to defend Ireland’s Catholics, oppose British rule and bring about a united Ireland. The August 1969 riots and the Battle of the Bogside brought the IRA’s internal divisions to a head and led to the formation of a new breakaway group: the Provisional IRA. 1. 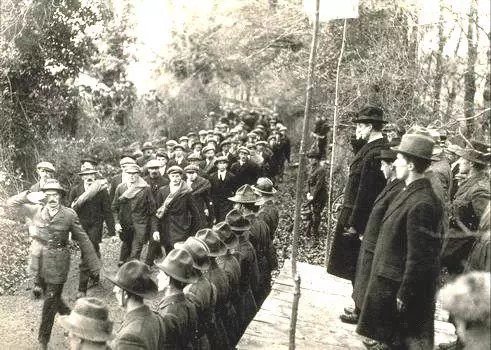 The first IRA was formed in 1919 from civilian militia groups such as the Irish Volunteers, who had instigated the failed Easter Rising in Dublin. 2. Later the IRA split during the Irish Civil War, then dwindled in size. In 1939 it declared war on Britain and later committed terrorist attacks during World War II. 3. During the 1960s leaders like Cathal Goulding reformed the IRA into a socialist party, abandoning abstentionism and seeking change through political involvement. 4. The transformation from a paramilitary force into a socialist political party alienated radicals concerned the IRA had become a group of ‘thinkers’ not ‘doers’. 5. These factional differences were brought to a head by the Troubles. With the IRA poorly equipped and unable to defend Catholic communities from police or Loyalists, young militants demanded a return to the IRA’s paramilitary roots.